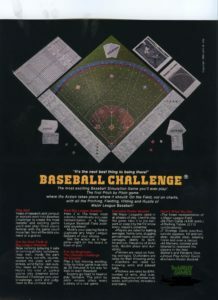 Here’s what BASEBALL CHALLENGE looks like. This is the ad we ran in the magazines, long before the internet was a viable option. We had a lot of fun and made friends all over the country, for 5 years. There were even BASEBALL CHALLENGE LEAGUES that developed.